Iraq is a nearly land-locked country that borders Jordan, Syria, Turkey, Iran, Kuwait and Saudi Arabia. Civilization as we know it first originated here in the "Fertile Crescent" region watered by the Tigris and Euphrates rivers. Ancient cities such as Ur and Babylon, known from the Bible, flourished here, and numerous peoples have contributed to the region's rich cultural tapestry. The modern boundaries of Iraq, however, were drawn up in the twentieth century, without much regard for the realities on the ground, and chaos has as often as note been the result. 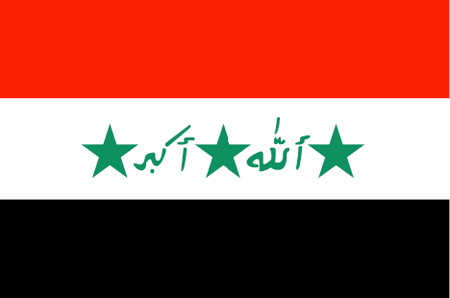 The dictatorship of Saddam Hussein had at least a certain amount of stability, and since his removal the government has proved incapable of preserving its own borders, and remains torn by sectarian strife ranging from the near-daily acts of terrorism to full-scale military engagements. There is no telling when calm will return to this part of the world, but when it does, Iraq has much to offer. In addition to the ruins of ancient civilizations and striking Islamic architecture, there are expanses of wild desert and enormous rivers. When it comes to sports, soccer is of course the most popular, and is indeed one of the few things that bring together the disparate parts of the Iraqi populace. Given all of that sand, Iraq has the potential for some fine desert golf, but, apart from some US servicemen setting up a few holes on their bases, the game is unknown.